Lewis’s insight is highly relevant to China’s rapid investment-led growth in recent decades. But China’s growth has been based on much higher levels of national savings than Arthur could ever have imagined. And now this development has become unbalanced and appears increasingly risky. 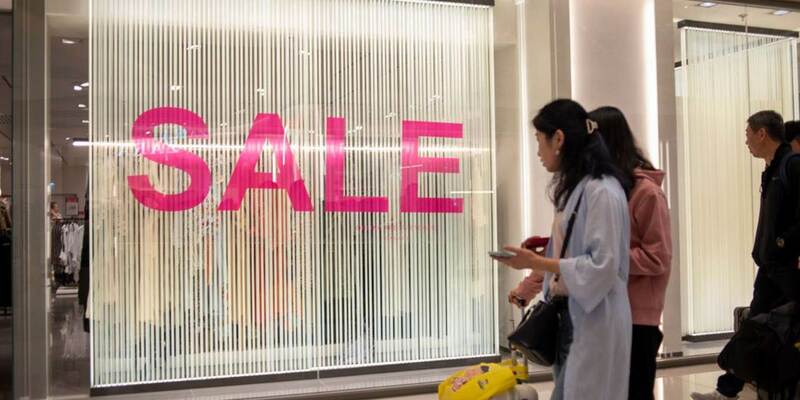 In a reversal of the process that Lewis described, China must now find a way to reduce its excessive savings by moving to an economic development model based more on the sheer size of its domestic consumption. This would represent a major shift. For 30 to 40 years, China has relied on export-led industrialisation to sustain rapid economic progress. Like Japan and other fast-growing East Asian economies before it, China successfully channeled its high savings into investment in export-oriented manufacturing. And as surplus labour continued to move within China from agriculture to export sectors, the savings rate continued to increase. Like Japan and other small, fast-growing East Asian economies, while manufacturing exports boomed, domestic service and non-tradable sectors (including telecoms and finance) were highly protected and suppressed in China. The level of this protection was usually unnecessarily high. Such a structurally unbalanced strategy kept the shares of labour income and domestic consumption in GDP relatively low. This led to an ever-increasing Chinese trade surplus, especially with the United States, and a rising risk of trade frictions or even trade wars. About 15 years ago, China, under enormous pressure from the US and other leading Western countries to reduce its trade surplus, was forced to expand substantially its spending on investment in domestic infrastructure and housing and let the renminbi appreciate, thereby making its exports more expensive. As a result, China’s trade surplus has fallen from a peak of around 8.6% of GDP a decade ago to near-balance today. But China has paid a heavy price for this rebalancing adjustment. Although a surge in infrastructure investment can help to reduce excessive savings, too much of it can lead to macroeconomic volatility and fragile “razor-edge” growth. And this is what has happened. Before the 2008 global financial crisis, China’s economy had already been drifting on an unhealthy growth trajectory. Since then, it has gone further in the wrong direction, with accelerating credit expansion pushing investment in the construction of infrastructure and real estate to record highs. After more than a decade of continuously increasing domestic investment, China now faces accelerated deterioration in total factor productivity and return on capital. GDP growth is slowing because of deteriorating productivity, and will almost certainly not return to previous levels. Worse still, the country has accumulated huge macro and credit risks that will limit future investment growth. All of this suggests that China’s high-saving, high-investment growth model of recent decades has run its course. The right course now would be to rely on a development model that lowers the country’s excessive savings. Japan’s failure to take a similar step led to the eventual collapse of its asset-price bubble in the early 1990s. Yet, even now, China does not seem to recognize the urgency of reducing its savings, despite the huge significance for its long-term growth prospects. China needs to shift the focus of its development model from exports to its huge domestic market of 1.4 billion people, which will require opening up the service and non-tradable sectors to foreign and private domestic investors in order to expand supply. Because these sectors have been suppressed and protected for decades, their productivity remains relatively low. But China has enormous market potential in telecoms, health care, social security, education, entertainment, finance, and insurance. The huge purchasing power already released in the country’s mobile Internet sector highlights the wisdom of liberalising these other sectors. Doing so would boost productivity significantly, because China’s domestic market is large enough to accommodate many competitors in a sector. That, in turn, would create sustainable employment to compensate for job losses caused by the structural shift away from export-oriented manufacturing. More importantly, opening up the domestic-market-based non-tradable sectors would help to increase consumption demand and inhibit excessive savings, thereby helping to improve investment returns. China is at a pivotal point in its economic development. For decades, it successfully adopted the investment- and export-led growth strategy of small East Asian economies, and it has yet to take full advantage of its size. As the risks of this unbalanced model become increasingly apparent, China’s growth must rely more on demand from its domestic market, and less on its industrial capacity and exports. This is the smart way to manage the country’s savings, and it is the key to winning any trade war with the US. Zhang Jun is Dean of the School of Economics at Fudan University and Director of the China Center for Economic Studies, a Shanghai-based think-tank. Copyright: Project Syndicate, 2019, published here with permission. Just another would-be growth model stymied by physical reality. We really are into the end-game. Going to be interesting from here on in. Struggled to read it, my eyes were constantly rolling around in my head.